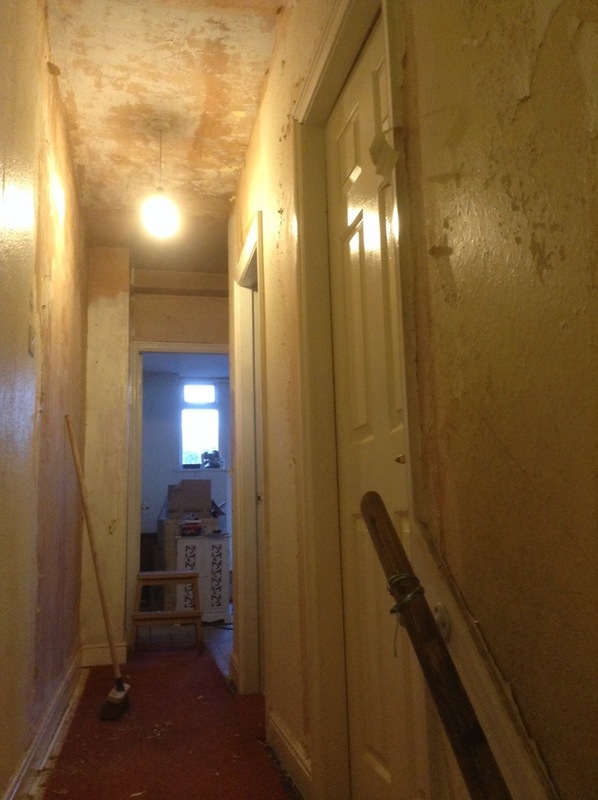 The hallway looks quite dull currently, but there’s some lovely features waiting to be rediscovered. 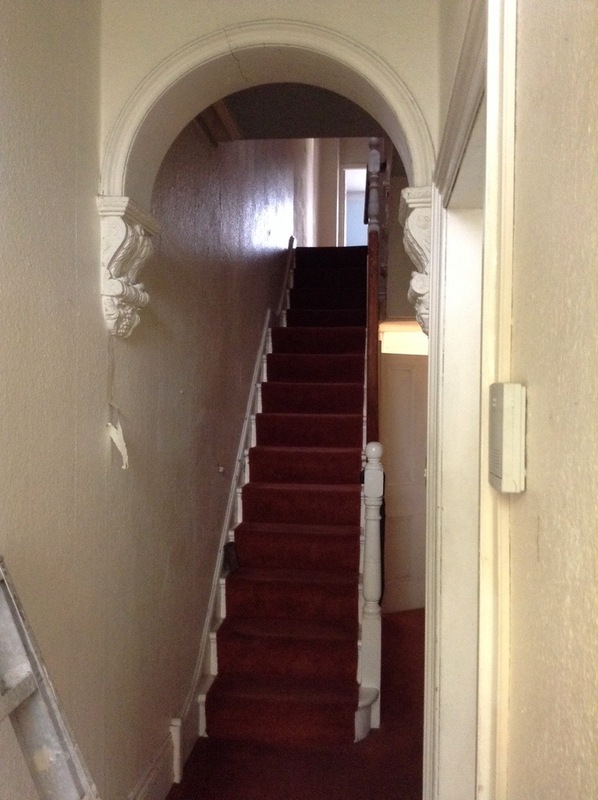 Stairs with archway, and horrid red carpet… Under which languishes a rather lovely tiled floor (the one that I made the estate agent promise to keep quiet about after he caught me pulling the carpet up during our viewing – I think poor old Don was so sick of showing us property, he’d agree to pretty much anything to finally flog us a house). Through to master and guest bedrooms. 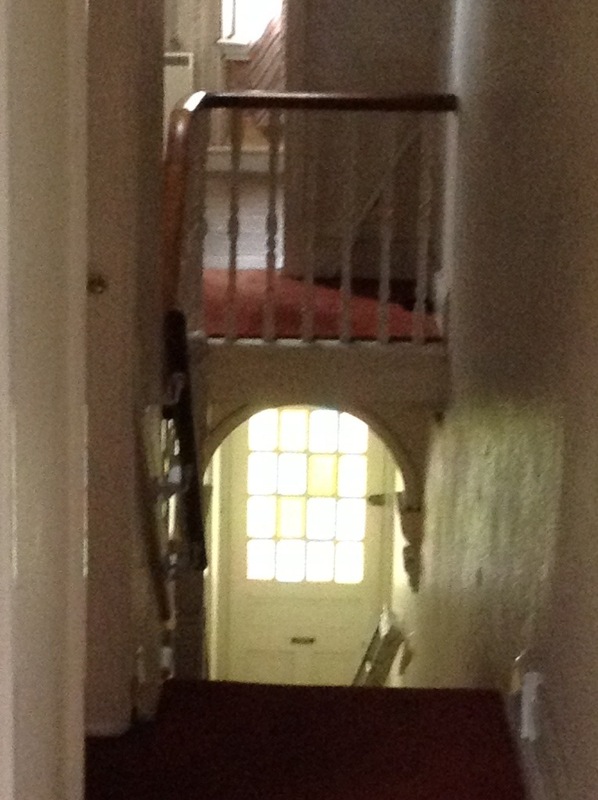 Down stairs into hall showing original door. Up to the bathroom, craft room and second bedroom. AKA the garden room. Beautiful original features! You can’t beat it can you!? Looking at the layout of the upstairs of your home it seems as though it’s the same as mine. Does the staircase split and go off in separate directions? Towards the front of the house and then towards the back also? Just had a good look at your layout, and yes it’s EXACTLY the same! The back of our house was extended in the 80’s so it’s pretty difficult to track back the exact layout as it would have been, piecing it together bit by bit. Are you planning to convert the attic? Yes I thought it was. No, we won’t be converting the attic. I think the most we’ll be doing is laying floorboards and putting a light up there so we can use it for storage. I’ve just finished reading your blog from start to, I won’t say finish, but you know what I mean! I’m really looking forward to seeing how you get on. It’s a beautiful property! Good luck! 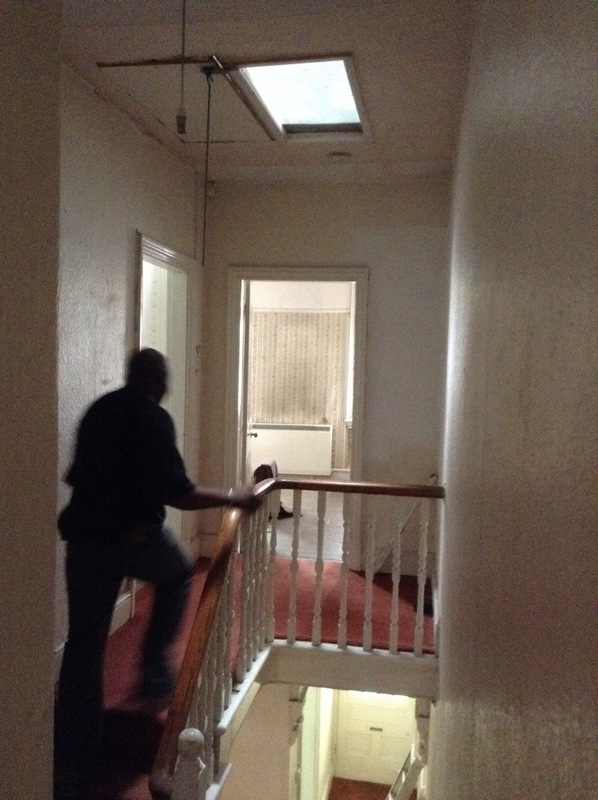 That’s a shame, trying to work out how we run a staircase up to the attic without ruining the old one, I love it! Thanks for the encouragement, it’s good to know there are other people out there crazy enough to be doing the same thing to compare notes with, especially when our layouts are so similar!